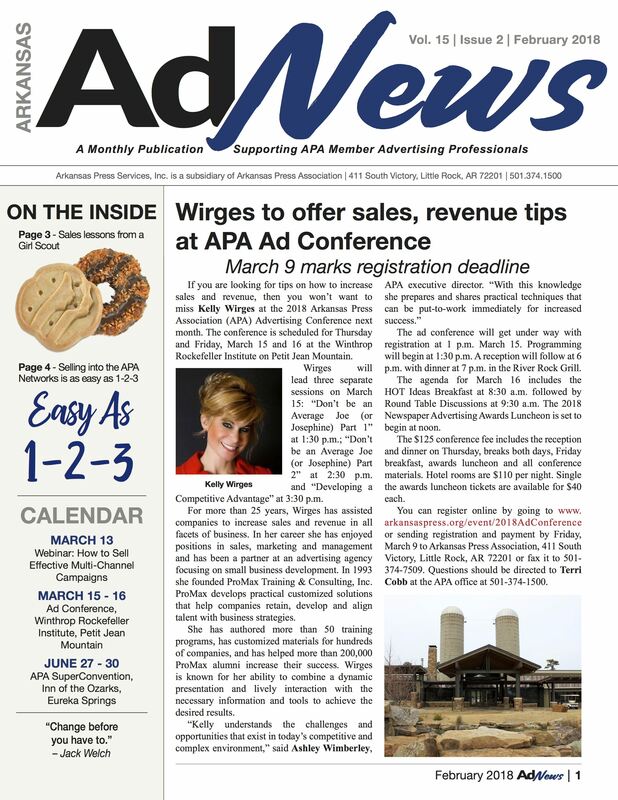 AdNews is the monthly newsletter of Arkansas Press Services, Inc., APA’s for-profit subsidiary. The publication is especially designed for publishers, advertising directors and other advertising personnel. It provides the most detailed information on APS' revenue-building programs available anywhere. Regular features also provide tools and methods for building advertising business and retaining valued customers. Interested in advertising in this one-of-a-kind publication? Contact the Arkansas Press Association at 1.800.569.8762 for more information.